A deceptively simple bacterium that survives in many types of environments has a sophisticated strategy to get rid of its competitors. Reporting this week in the journal Cell, a University of Washington-led research team tells how Pseudomonas aeruginosa delivers a fatal toxin directly into other bacteria. To gain entry into the cell, the researchers observed, this toxin exploits one of the victim cell’s own vital proteins. This protein usually has the job of making other new proteins to keep the cell alive. Pseudomonas aeruginosa is a single-cell organism that causes difficult-to-treat infections in those whose immune systems are weakened, as well as in patients with serious burns or in people with cystic fibrosis. In earlier studies, scientists learned that this species makes a molecular machine resembling a syringe on the surface of its fellow microorganisms. It then injects a murderous toxin. Among those studying this phenomenon is a team led by Joseph Mougous, UW associate professor of microbiology and a Howard Hughes Medical Institute investigator. 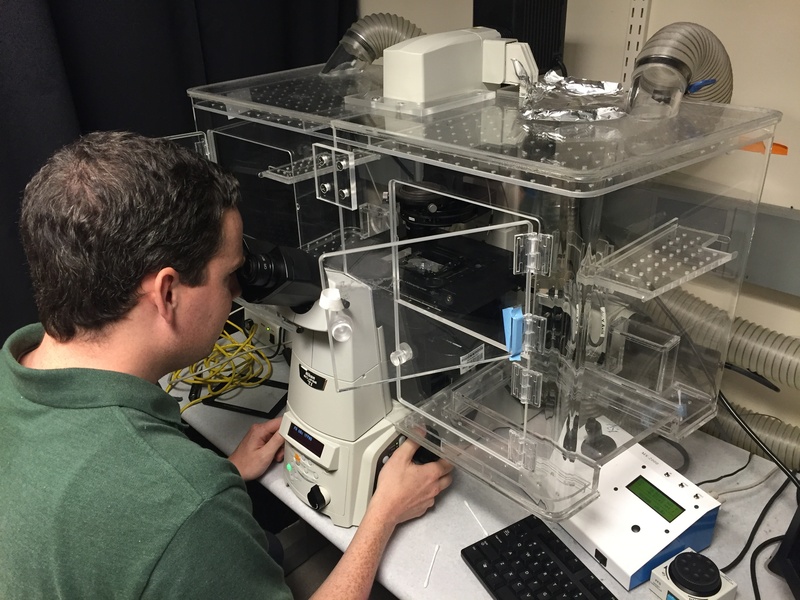 In trying to figure out the nature of the toxins delivered through this syringe mechanism, John Whitney, a postdoctoral fellow in Mougous' lab, found one that was harmful to targeted cells only when in was present in their inner compartment. He showed that its destructive power came from its ability to break down a molecule essential to growth not only in bacteria, but in all life forms. Yet he and his colleagues wondered: Hoe does this toxin get past the inner membrane into the central cellular compartment? He checked out all the proteins in the cell that the toxin could stick to. These included a cellular protein known as elongation factor Tu (EF-Tu), which plays a role in synthesizing new proteins. When Whitney mutated the toxin so that it could no longer bind to this elongation factor, the toxin could no longer make it way into the cellular compartment of the cells it tried to kill. How the interaction between the toxin and an essential cellular protein helps the toxin get through the inner cell membrane is still not understood. Whitney, Mougous and their colleagues suggest that exploiting an essential protein present in all bacteria gives the toxin a couple of advantages. Research on how bacteria protect their place in their microbial communities may suggest new approaches for developing antibiotics. This work was supported by National Institutes of Health grant AI080609.